High pressure tanning is the latest tanning technology in commercial tanning. 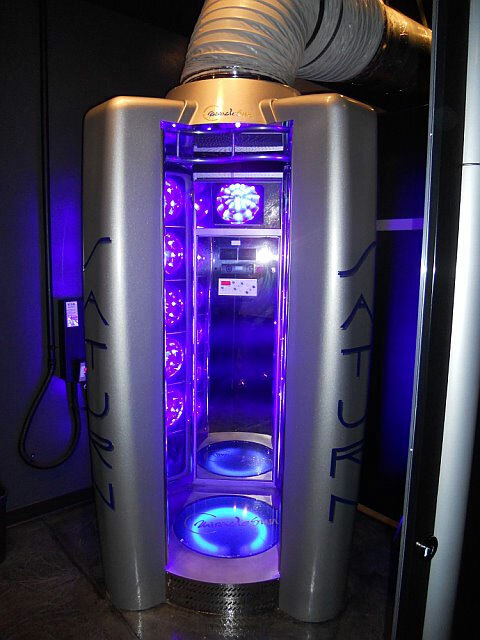 Rather than using traditional tanning tubes they use quartz halogen lamps mounted behind blue filtered glass. This allows only a very specific wavelength of ultraviolet light to pass thru to the tanner. 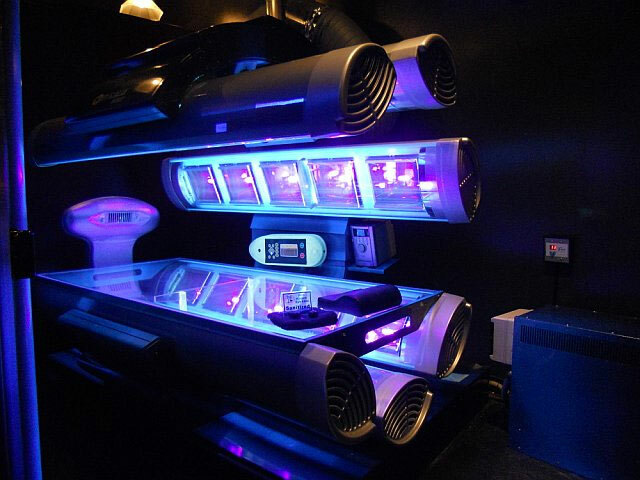 High pressure beds produce almost 100% UV-A which is the primary tanning light ray. The light does not pose the same burning potential as the UV-B rays but penetrates deeper into the skin to tan the melanin. High pressure tanning results in a faster, darker, and longer lasting tan and fewer sessions are needed to maintain the tan. 1.) Should I only use High Pressure tanning beds? No. When people hear all the benefits of high pressure tanning – faster , deeper tan , less maintenance required – they wonder why anyone at all does low – pressure anymore. The truth is , both have their place in a healthy tanning regime. 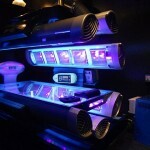 High pressre beds use UV wavelengths of greater than 315MN there is little or no vitamin D by wavelengths at this level. since this is an extremely important vitamin it’s a good idea to switch off between low and high pressure tanning. This method allows the best of both worlds – you get your dark deep tan and yet achieve the benefits of each lamp type.